Wang Yi, the 45-year-old essayist and civil rights lawyer-turned-Protestant pastor, has scared the Chinese government. We know this because they’ve silenced him. He has been detained, along with his wife, Jiang Rong, since Dec. 9, 2018, and denied access to a lawyer — or any semblance of due process. It will be quite a challenge for China to stamp out Wang’s voice entirely. He founded one of China’s most popular churches, the 500-member-strong Early Rain Covenant Church in Chengdu, the capital of China’s southwestern Sichuan province. With Wang detained, it's hard to say what will happen to the church. It is one of his biggest “crimes,” the reason for his imprisonment. Government officials arrested Wang, his wife, and 11 of the church members. Initially, more than 160 had been detained. The charges are what government officials like to call “inciting to subvert state power.” It carries up to 15 years behind bars. After all, in China faith is due to the ruling Communist Party, not God. Until his arrest, Wang headed not only an unapproved church but a seminary and an elementary school, as well as a group designed to provide aid to political prisoners. In short, Wang boldly went after every one of the Chinese government's preciouses, infiltrating daily life and schools, spreading the influence of the gospel while the Communist Party tries to stamp it out. In February 2018, the government rolled out its recently revised Regulations on Religious Affairs, which further tightens control of religious activities. Churches are forced to register as social organizations; members are supposed to register as believers; unregistered church groups are banned from teaching religion. At government-sanctioned churches, such as the Protestant Three-Self churches, the content of sermons is edited to fit party rules. He’s not wrong. The party uses those rules to target Christians and Muslims, specifically, for absurd reasons such as being tied to a foreign entity. Hundreds of thousands of ethnic Muslims have been sent to “reeducation” camps that are, in fact, labor camps. 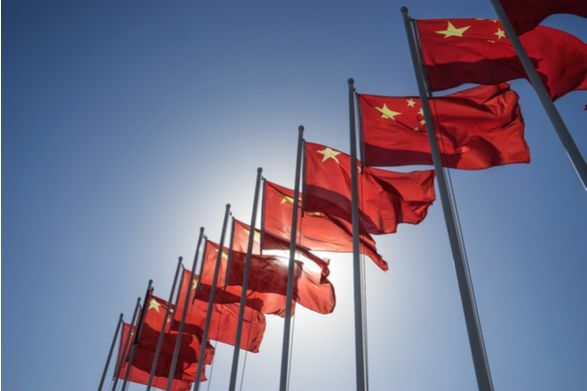 The Chinese government surveils anyone with a whiff of religion on them, detains them, and sometimes tortures them for infractions such as having a Bible or refusing to give up other church members. Government officials are sent around the country to demolish churches and temples and tear down crosses and any other religious symbols. Before his arrest, Wang wrote an essay about the obligations of Christians living under an authoritarian government. He wrote it specifically to be read in the event that he was detained for more than 48 hours because he knew the government was coming. They always do. He wrote it because it’s a dilemma most of China’s roughly 67 million Christians are now facing. Wang calls it, “My Declaration of Faithful Disobedience.” He wrote the first draft on Sept. 21, 2018. Wang encouraged Christians not to stop gathering, not to give in to Communist demands of confessing and registering and pleading guilty when innocent, but to “physically obey any unjust sentences and submit to the prison’s discipline,” and, above all, to persist in peacefully sharing the gospel. “For on earth, there has only ever been a thousand-year church. There has never been a thousand-year government. There is only eternal faith. There is no eternal power,” he wrote. This is what the Chinese government is afraid of and why it demolishes churches and bans religion. And it’s why it wants to silence the likes of Wang, who serves as an inspiration and a cautionary tale for the millions of Chinese believers.